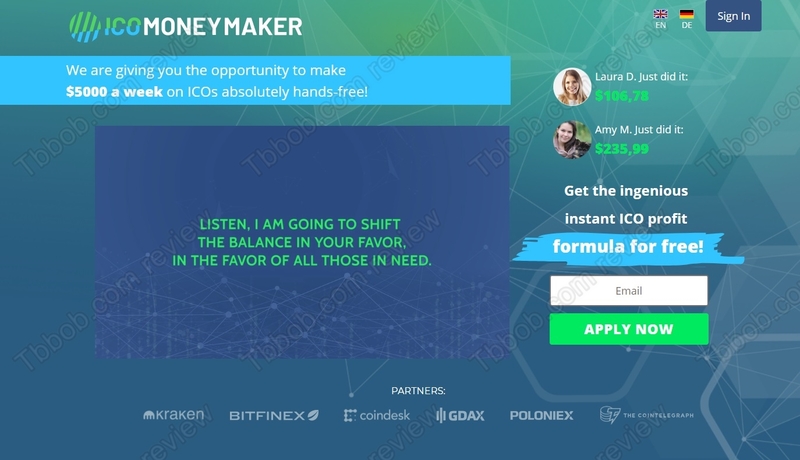 In this review we expose a new crypto scam called ICO Moneymaker. It is presented by Tony Shaffer. Shaffer claims that he created a software that can profit from new cryptocurrencies that are released through Initial Coin Offerings (ICOs). This software can allegedly make you $5000 per week. And guess what, ICO Money Maker is free. So, can you really become rich for free thanks to this software? In reality ICO Moneymaker is a pure scam that has nothing to do with buying cryptocurrencies through ICOs. Shaffer is a scammer, or rather a fictitious character made up by people who are behind ICO Money Maker. As you can see on our picture, this program is a clone of the Crypto Money Maker scam that we have already reviewed. It uses a similar video and a similar story, only the name changes. 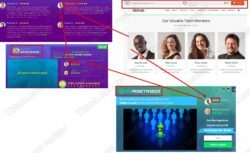 On the ICO Money Maker website you will see a few stories of people who are allegedly making money with this trading program. But all these reviews are fake. In fact, these testimonials were copied from the Crypto Money Maker website and originally they were created with stock photos. Moreover, scammers gave different names to the same photo, which proves that everything is fake. Crypto scammers often say that their programs are free, but they are not. When you sign up for ICO Money Maker, you will see that you will be required to deposit money with a certain unregulated broker – MaxCFD. Only if you deposit, scammers will activate the trading software. Do you know why? Because their software is losing money in trading and they don’t want you to know that before you deposit. The ultimate reason is that they are getting paid by their affiliated shady broker for referring new depositing traders. That’s how it works. So, now you know that you should not deposit any money with ICO Money Maker, otherwise you will lose it. By the way, you cannot trade ICOs with any broker, brokers offer established currencies only. ICO Money Maker is a copycat scam made to take your own money and lose it with a shady broker. Stay away from it! If you are interested in making money in crypto trading, start with a free demo account with a regulated broker to see if you really could succeed. Don’t quit the demo for real trading until you have your strategy ready and you know all the risks.